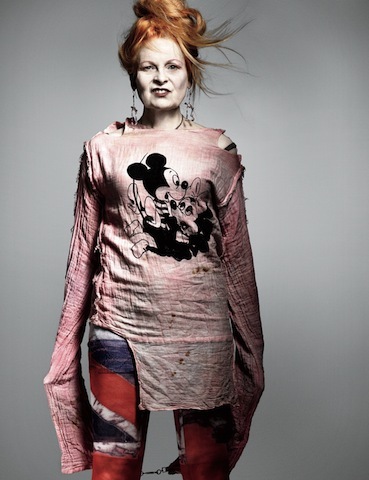 British designer, Vivienne Westwood has enjoyed a thriving career being a rebel with a cause, simply by indulging her ability to reunite the righteous with the more daring crowd. She is a gorgeous mixture of confetti, falling in all the right places and littering her fans in ways that ignite inspiration and acute consciousness. And now we are going to be able to partake in all the avenues that led to Westwood’s glorious ascension into all things AMAZING, thanks to the brainchild of British actor and award-winning author Ian Kelly, who felt compelled to detail the precise increments of the Queen of Punk. He is the perfect candidate, considering that he has vast experience in this arena. He is responsible for drumming out intricate biographies that capture the most alluring personalities of our time. Giacomo Casanova and Beau Brummell are among Kelly’s list of past subjects, and if you do your research, it’s clear that Westwood is not only in great company but also in very good hands. But this ship won’t be confined to one captain, Westwood is lending her expertise to this endearing project, after all, it is her life! She admits that it was Kelly’s work on Brummell that reeled her in and made her give in to the prospect of undergoing a similar treatment. She also has an enviable array of friends that include Prince Charles,(who knew!) Naomi Campbell, Julian Assange (yikes! ), Bob Geldof and Jerry Hall among others, and they are willingly contributing their personal recollections to the book which will be released in 2014 by British/Australian publishing house, Picador. My coffee table is flipping with anticipation!